Guatemala is one of the lesser explored Central American countries with so much to offer to budget travelers. We had 2 weeks in Guatemala to explore the beautiful rainforests, ancient cities, Volcanos and vibrant, colorful culture. In two weeks, you will be able to explore many beautiful places in Guatemala, while leaving some for the next visit too! Let’s have a look at how we planned our two-week itinerary. Directly from the Guatemala City Airport, we headed to Antigua, which is an hour away. It is the old capital of Guatemala and is the main tourist destination within the country. Antigua offers beautiful architecture, rumbling volcanos and lively markets. One can spend several days here, soaking up the atmosphere and visiting all the beautiful places around. Santa Catalina Arch is not to be missed, as well as the Hill of the Cross, which provides a breathtaking panoramic view of Antigua. We did not do any of the volcano hikes offered (Acatenango, de Agua, or Pacaya) because we had our eyes set on the highest one – Tajumulco. Possibly the most magical place we have ever been to in our lives. Indeed, as many you will meet on your way will tell you, “I came here for a couple of days and ended up spending years.” We spent our days around the lake in Panajachel, San Pedro, and San Marcos villages. Panajachel is the biggest village where all the buses arrive from around Guatemala and where you can take a boat to any of the smaller villages, depending on your interests. Those many little villages around Atitlan lake are charming. San Pedro is more of a backpackers’ destination with many bars, activities, and hostels. Meanwhile, San Marcos has yoga, meditation and healing sessions as its main point of interest. It’s easy to do a village hopping and get a taste of each of them in a couple of days. Biggest market of its kind in Central America. Chichi is a bustling local market with very few tourists. It is open only on Thursdays and Sundays so plan your visit to make it on one of these days. You can buy literally everything here, starting with live animals and finishing with pottery. The market is huge and is a great attraction for half a day. It is a true cultural experience worth the long trip. We arrived at Quetzaltenango (short: Xela) after visiting the Chichi market, late in the evening. Xela is the second largest city in Guatemala, surrounded by volcanoes, hot springs, and mountains. Our plan was to visit the Central Plaza and head out to Tajumulco the next day, so we arrive at Tajumulco in the midday and can prepare for our night hike. However, I caught a terrible food poisoning, which takes the prize of being the worst food poisoning in my life so could not move, eat or drink for the next 30 hours. We did not lose our spirits and still made our way to Tajumulco the next day, needless to say, I still hiked the volcano without eating for 2 days and still being quite unwell. This was a crazy adventure that deserves a separate blog post. We arrived at Tajumulco base village from Xela via San Marcos and then to Tacana direction with getting dropped off at the base, it took roughly 3 hours and cost $2.40. Tajumulco is the highest point in Central America at 4220 m. We spent a night there, climbed up to the peak in 8 hours and climbed down in 4 hours, without breaks, without having any food, as I just could not eat because of the food poisoning. The views are well worth the hike. It is not a very popular tourist destination so it might as well be that you will be the only one that day on the highest point in Central America. Let’s admit, it is quite cool to know that. On our way back from Tajumulco we had to stop in Antiqua to get to Semuc Champey as the direct way from Tajumulco would have taken 2 days with a night in Coban and set us back the same as a direct bus from Antigua. We arrived late in the night from Tajumulco, spent the night and departed early the next morning. This was the only shuttle we took and it turned out to be even worse than public buses as it was two hours late with 12 people packed in a 10 seater and took 8 hours. I got sick on the way and had a mini panic attack, who knows, maybe the 2-day chicken bus journey would have been better. You can swim in Semuc Champey’s several levels of natural pools. Semuc Champney is a must if you visit Guatemala. It is quite difficult to get there as Semuc Champey is in the middle of the lush mountainous jungle but this wonder of nature is worth every single bump on the road. Best hostel we highly recommend is Zephyr Lodge in Lanquin. Secluded wooden houses, hammocks, infinity pool, daily happy hours and games in the evening as well as food served directly at the hostel. Paradise in the middle of Guatemala’s rainforests. Flores is a very beautiful tiny island city on a lake. You can walk around the island in 30 minutes. It is worth spending a whole day exploring the city and surroundings and another day visiting the main tourist attraction nearby Tikal which is a city of ancient Mayan ruins (An episode of Star Wars was filmed there). You can spend a day kayaking ($10) on the lake and visit Jorge’s Rope Swing which is only accessible by boat, of course, we rented a kayak and went on our own. Great place, where for a small entrance fee ($1.40) you get to enjoy the rope swing and can indulge in some snacks or beers, which are sold by the family running the place. Hotel La Casa De La Cadon is a great place with an amazing German owner, such an amazing person. During Happy Hour, you can get a unique blended mojito for $2 and they serve great food as well. We arrived early in the morning from Flores and we had about 7hours to kill in Guatemala City. You will not find amazing landmarks in Guatemala City, however, there are some nice cathedrals and museums to visit. We tried to avoid it for the whole trip because of the city’s notorious reputation, however, we ended up walking around and sampling some nice street foods until we had to catch a taxi to the airport. Public transportation in Guatemala City is not recommended, as well as wandering away from the central areas. Traveling around with chicken buses (spanish: camioneta) was our way to go. Those are the yellow old American school buses “slightly” pimped up. By now, you have probably heard so much controversy about this way of traveling, but it was one of the most unforgettable and authentic experiences of our lives. Chicken bus schedules are not set, the process is somewhat chaotic and most of the time the vehicles are stuffed with people, chickens and luggage close to bursting. However, it is the cheapest way to get around Guatemala because it is the local transport and buses go to every single destination you could imagine. While a four-hour chicken bus ride cost us a maximum of $3 an organized shuttle would have set us back $14 – $20. The price really varies, but we can assure you, local transport will be at least ten times cheaper. Just watch the locals, ask around for your destination and go with the flow pretending you know what you are doing. As well, watch how much others pay so you pay the fair price avoiding “gringo tax”. We usually stay at basic private rooms wherever we go and tend to spend less than $15 per night for both of us. It is easily doable if you follow certain guidelines. Guatemala was no exception and we paid an average of $10 per night. You can expect somewhat higher prices in Antigua and lover places in the rest of Guatemala. Remember to haggle for everything, even a hotel room, if you are walking in. You do not have to book anything in advance. Thus, you do not have to stress about the exact itinerary planning. We usually eat street food and at cheap restaurants. Corn on a cob from a street vendor was $0.60 and a beer $1.70. All kinds of tortillas and tacos were usually 0.70 $ for one. Meals at cheap restaurants were around 3$ and a drink 1$. Breakfast with coffee would cost around 3$ as well. You have to try their coffee, you are in a coffee making heaven after all. As already discussed above, chicken buses are very, very cheap while shuttle buses and private transfers are quite expensive. We got around only by chicken buses except for one 12-hour night bus ride from Flores to Guatemala City which was around $17, however, it still was a public bus, just a trusted direct night bus from location A to location B. Private shuttles would be three times the price. Transportation costs really depend on how you want to travel and if you are up for an adventure and some extra cash for beer or not. Entrance fee in Tikal ancient Mayan city was $20. Transportation there was another $7. You can always negotiate the prices. Entrance in Semuc Champey was $6. Our Tajumulco volcano hike was free of charge as we did everything ourselves, thus saving loads of money. Kayak rent in Flores was $10 a day, for example. We bought our flights to Guatemala and did the research after. Not so thoughtful yet adventurous! Quite obviously, we were surprised to learn that Guatemala City holds the title of homicide capital of the world. Guatemala City ranks right after El Salvador in San Salvador. We were not aware of that when we planned our 2 weeks in Guatemala. In the end, the fear turned out to be unfounded and you shall be alright if you follow your common sense. As everywhere in the world, there are dangerous neighborhoods which should not be visited or passed through. The same applies to travel in the night, avoid that as well as per usual avoid being flashy with all your belongings. Due to our careless behavior, Kris’s sunglasses were stolen. We left the case on top of our backpack and our backpack on top of a pile of bags unattended. Stupid as that. We also got greeted by 2 motorcyclists on both sides of an empty street and a man walking in between them. That is a common science in Guatemala right before you will get robbed. Fortunately, we had nothing with us and the gentlemen kindly asked what time it is in Spanish. When we replied that we do not know as we just left to buy some water and go back home. The gentlemen just greeted us and passed by. We would highly recommend getting a travel insurance if you are coming to Guatemala. 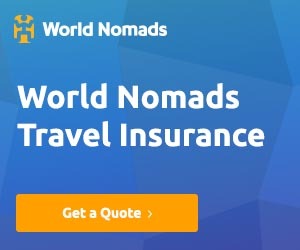 The common travelers’ upset belly might hit you, and it is just smart to have a GOOD travel insurance when traveling. Better safe than sorry. We would suggest 3 weeks as the perfect time to spend traveling around Guatemala. There were some places we did not see but could have seen if we had more than 2 weeks in Guatemala. Beaches by the Pacific if you love surfing. These beaches go by names Monterrico and El Parredon. Those will not be typical beach resort places but rather a place to enjoy a good surf. Also, you will escape the typical gringo trail. Other places we wish we could have visited are Livingston and Rio Dulce. Famous for their boat trips and the mangrove jungle if we would have gone to that region. Apart from that, if we had three weeks in Guatemala we would have spent more time around Lake Atitlan. It is such a magical place. Also, we would have spent some more time in Flores region as we did not manage to see all the beautiful places. Usually, it is quite hard to find cheap flight deals to Guatemala, so definitely check out our guide on how to find cheap flight deals. Also, if you are traveling on a budget or want to save some money, you should read on how to travel cheap and live like a local. There are so many incredibly interesting and unforgettable things you can do to save money and build amazing memories.